Get 25% in coupon. Buy "Complex B 30 tablets" and get a coupon worth £2.01. 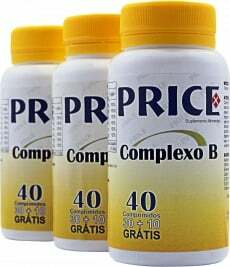 Get 20% discount in "Complex B 30 tablets" and save £1.61. Have a question about Complex B? What is it, what does it do, how and when to use or something else? Ask us. Take 1 tablet a day preferably in the morning.